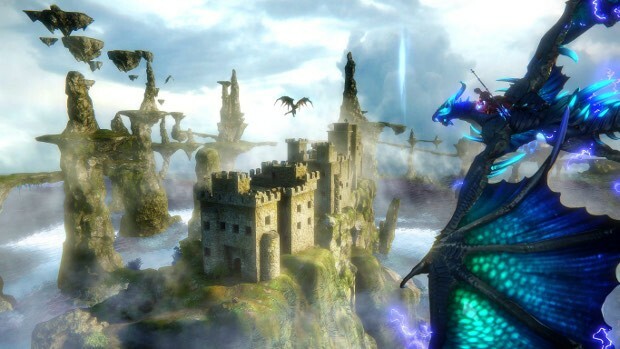 Despite the developer’s intentions, Riders of Icarus’ PvP scene has not gone entirely as planned. Due to the open nature of the Alliance System, what are now know as “Mega-Alliances” have not only dominated PvP and the Manastone Battles in particular, they have engaged in win-trading in order to acquire the Alliance War reward buff, creating a system where only they have a chance at the rewards. In response to this, NEXON has decided to make major adjustments to the system, starting with temporarily disabling the Alliance System (and Alliance Wars). The idea is that this will return PvP to a more “competitive environment” less prone to being exploited. With this removal, Manastone battles will be a competition between Guilds and the Militia. This change is temporary… until they can come up with something more balanced. Due to the removal of the alliances, players can expect the Milita to become more powerful in order to balance competition against larger guilds. Rank 3 guilds will now be able to join the Militia and the buff will be increased. The final change is the introduction of rental gear for beginning PvPers. This is to make up for the fact that the win-trading alliances were able to acquire PvP gear more quickly than everyone else, offering them a huge advantage. Rather than taking away gear from the more advanced groups (as the devs believe some guilds earned their gear fairly) they’ve decided to offer a rental system to allow players to participate in events without being at a great disadvantage. The major difference between this rental gear and gear players earn is that it will not allow players to tame Exarahn Badlands familiars, temper the gear, or apply Seal Stones. As we are talking about bad companies you forgot INNOVA (EU Lineage 2), supports russian RTM/botting and bans all EU players for doing it. They also ban EU accounts if and when they feel like it. I would NEVER go back to L2 as long as they there the EU publisher. Rage much? Try a game from Perfect World, Gameforge, Aeriagames or Gpotato. I bet your ragemode will be even worse than this one. I bet you would rage harder if you played a game from gameforge or aeriagames or perfect world because they are shet when it comes to publishing games. On tera online in the EU I’ve even heard people are fleeing the gameforge owned servers for the EN MASSE ENTERTAINMENT servers in the US if that isn’t saying something then idk what is. And neverwinter is just a shet paid 2 win of WoW and aeriagames idk what they do since I never played them before but 2 many people complain about them. I just thought of one more company worse then nexon. Artix entertainment but it’s because they are an indie gaming company and got very little of a playerbase and very few paid staff and lots of volunteers. I’m sure you would rage so hard if you knew how bad it was there. The support on artix entertainment is worse then nexons trust me on that I’ve delt with them before but I don’t play their games anymore luckily since it’s not worth it the raging your doing about nexon right now.